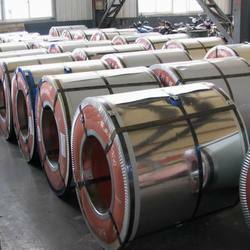 Providing you the best range of ss gold sheets, galvanized stainless steel, ss430 coils, ss design sheet, galvanized steel fittings and ss 410s coils with effective & timely delivery. Stainless Steel GOLD COLOURED SHEET available in stock. we offer Stainless Steel GOLD COLOURED SHEETin all the sizes. 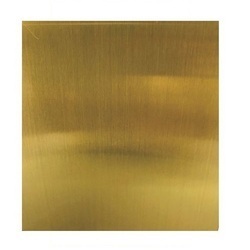 Stainless Steel GOLD COLOURED SHEET available in various hardness like Soft, half hard and Hard. AMANAT STEEL PVT LTD is well known company in the industry for offering Stainless Steel GOLD COLOURED SHEET. 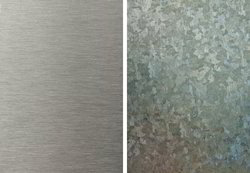 Stainless Steel GOLD COLOURED SHEET are manufactured with Superior quality. Offered Stainless Steel GOLD COLOURED SHEET as per customer required specification. We offer to our clients different varieties of Galvanized Steel Wire, which are mainly used for binding purposes in line applications. The use of superior grade of raw materials and advanced technologies in its construction makes them perform flawlessly and successfully meet the exact end application requirements. To create a permanent bond between steel component, this Galvanized steel Parts can be used. This threaded galvanized stud has a high tensile strength. This highly demanded product is made available at market leading prices.